What's up with the TH30?i very rarely(if ever)see it recommended on the Forum,in the Which Amp?should i buy,threads. It's seen as a budget offering, and the shape knob can be limiting. Great if it works for you though. Having tried it a while back, it packs a serious punch. Really lovely clean channel. Breaks up really nicely. Agreed. I have one and I really love it for my grab and go amp (it’s combo). If I am going to get serious at all though, I bring my RV. I think for those wanting a dark terror with a few more watts and a second channel, the TH30 will be hard to beat. Thanks,obviously the "Budget" of the forum members,is different from mine. I like a lot of the y/t vids I've listened to. It’s a decent amp. Not my favourite. I was excited when they were first announced and bought one and just wasn’t happy with it. Clean channel is nice, not a fan of the shape knob. I wouldn’t say I’ll never own one again, but it’d have to be a steal of a deal type buy for me. 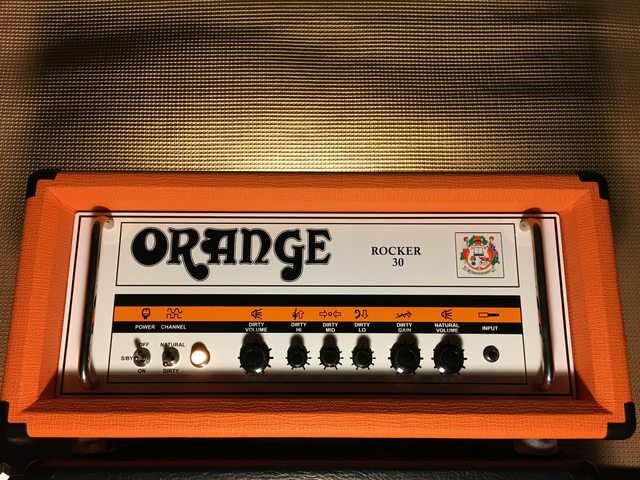 Good amp if you’re after the traditional Orange look on a cheaper price point and want something like a Rockerverb. But AD30’s and Rocker 30’s compare in price used and are more my style and anyone who has similar taste I recommend those amps first . I’ve recomended TH30’s to people, so I’m not against them. For all intents and purposes, the TH30 is a budget Rockerverb. No reverb, shape instead TMB controls, and China production. How is you R30 doing? Fixed yet? If the TH30 was nothing but the clean channel, it would still be incredible. My approach is to crank up the clean channel, match the dirty channel with it, then turn the clean channel back down. The shape knob works fine for me, it rarely gets touched. I wouldn't change anything. This is where I have to agree. If it works for you, great! I have used the clean channel for dirt and the dirty channel for clean. That worked really well, but it's much louder than the other way around. Considering the quality of sound and the flexibility, I think it's most definitely a bargain. No,i took it back to the tech guy & he did "something",i tried it at our practice shed,still sounded weedy,so i "borrowed" a Marshall 1936 cab,that had been left there,plugged the Rocker into it & it burst into life really sounded good,we practiced for about a set,then it started sounding wrong,crackling etc. & maybe a bit microphonic?,so i switched it off & gave it a kick(that used to work with my ancient AC30)tried it again but no good. I'm at the stage where i need to get it sorted out,by someone who really knows what they're doing(probably cost quite a bit)& i've always thought the speaker was knackered, so a new Speaker as well l good money after bad? . 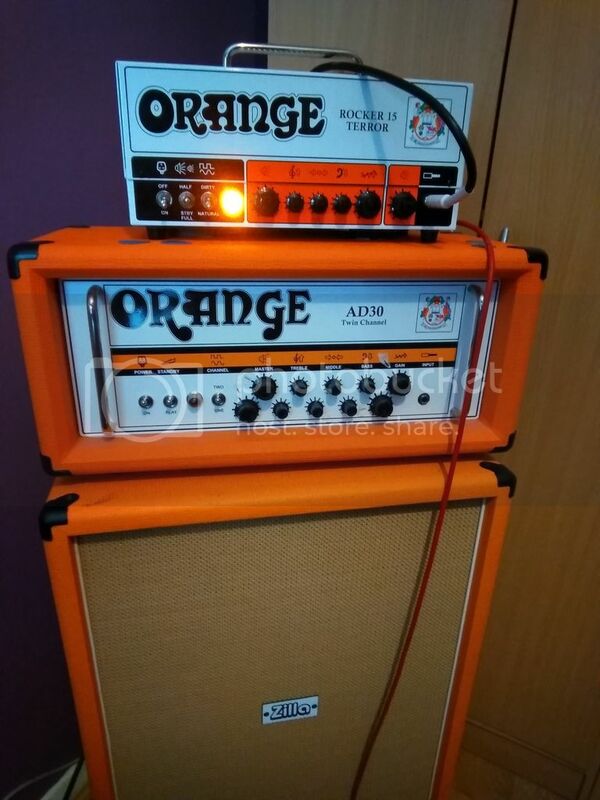 Hence my question about the TH30,i think an Orange is the right Amp for me(I like what I hear in Y/T dems),but at my age i can't be paying Rockerverb money,but i'm really wary of second hand,after the Rocker Saga,although I probably took the advert at too much face value & didn't ask the right questions re: History etc.. I hadn't realised the TH30 was Chinese,is that something to be concerned about ?quality control etc. I sound like a right dithering old fart,mainly because i am. I'm not saying they're better than the AD30 or Rockerverb, but they tend to get looked down on when they are just another fine Orange amp. The power scaling was a big reason I bought it. I had TH30 and that is the way I see it. TH30 is by all means a decent amp. Not as nice as Rockerverbs or ORs, but still does the job especially in modern hi-gain stuff, because I believe it's dirty channel is targeted to those, who really like to go REAL heavy, because the more gain, the better it sounds. I really dig the cleans, also power scaling feature is killer thing, especially when you play in smaller venues. Things I did not like: shape knob - I found it limiting after some time, because I had only one sweet spot - somewhere around 11 o'clock. Volume difference between channels was also annoying. Also, if it matters to anyone, it's Made in China, but the overall quality was rather fair, although I had to replace some caps after year of playing. All in all, I sold my TH30 and got a RV50 MK1 Head. And that's Orange-real-deal! My TH30 has never caused a bit of grief. I did have to replace the effects loop tube, though.